Description: Our vineyard "Deyo" is named after the old Castle of Monjardin, grows extraordinary Merlot as in Bordeaux. We do 20 new French oak barrels for the malolatic fermentation and aged for 14 months. It has a deep ruby color and intense aroma with notes of black fruits and pepper. It is rounded, well structured with flavors of liquorices and chocolate, super mellow palate. 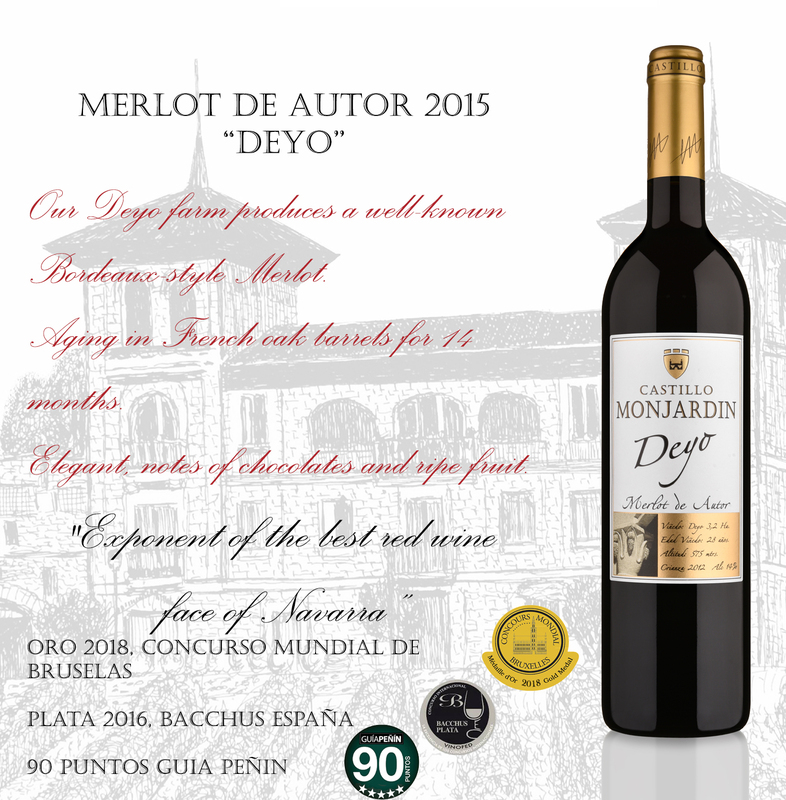 Wine Enthusiast: Monjardin Deyo, 94 points, possibly the best Merlot in Spain. "This Navarre wine offers a nose marked by a sincere fruity expression and elegant wood. Very pleasant mouth-feel with a black fruit background. Lingering aftertaste. Excellent. **** La Revue du vin - France"
"A fine example of the best of red wines in Navarre …. Strong and elegant mouth-feel" 91 points. Andres Proensa.